It's finally October, which means Halloween is upon us. I love dressing up and playing around with make up for this season so I thought I would share with you my top 10 costume ideas and the make up looks I'd put with them. I hate clowns but I love the idea of an easy to create killer clown look (and you don't have to look too scary either). I am toying with this idea for this years Halloween costume. You don't even have to dress up you could go simplistic with the make up and wear a black dress or jumpsuit. I love this costume as it's quite simple and not too over the top and I've been loving this makeup look. I've been a devil a number of times and have worn both black outfits and red. 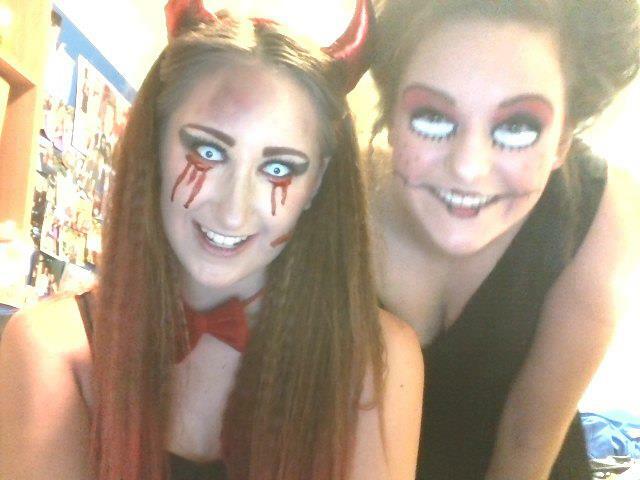 I love experimenting with blood and makeup too and I think contacts are a big must with this type of outfit!! 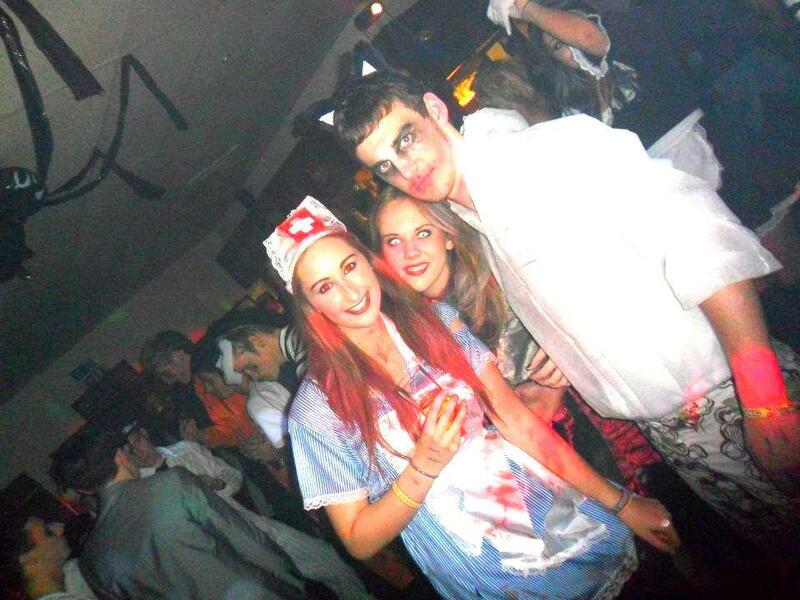 A couple of years ago I was invited to a Halloween party very last minute and so I bought a cheap nurse outfit from somewhere like Wilkos and put some rips in it and added blood and my outfit was complete. 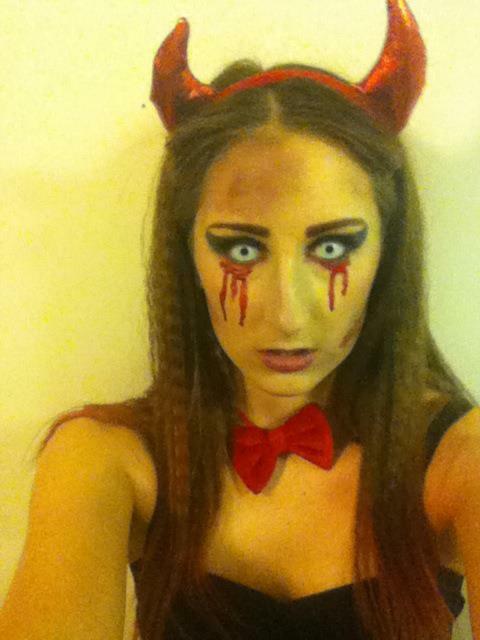 I loved this outfit as it was a little bit different and some the standard devil, cat, skeleton etc. 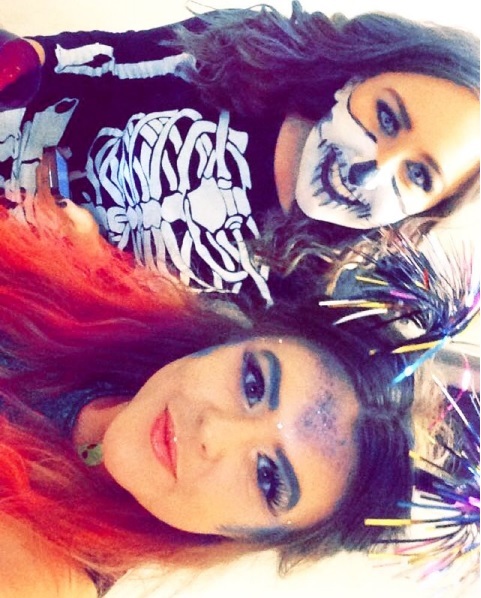 I LOVED dressing up as a skeleton a couple of years ago for Halloween; particularly the make up side of it because we went all out. 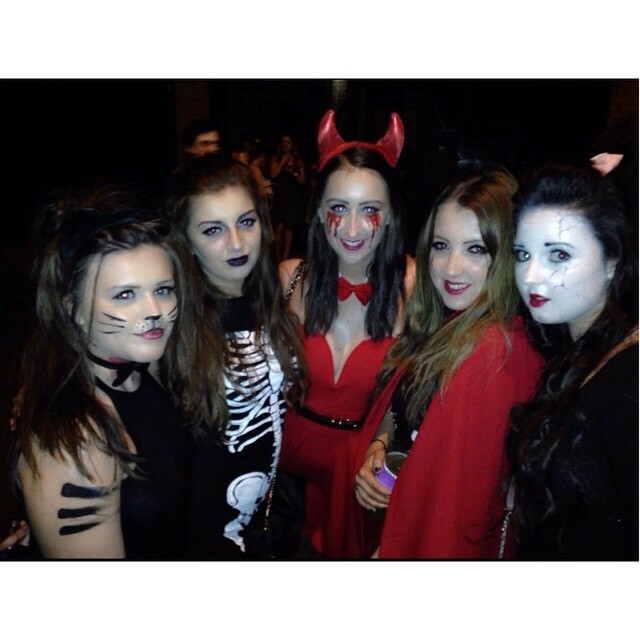 My bodycon dress was from Asda and I literally bought the face paint from poundland so super cheap last minute outfit. 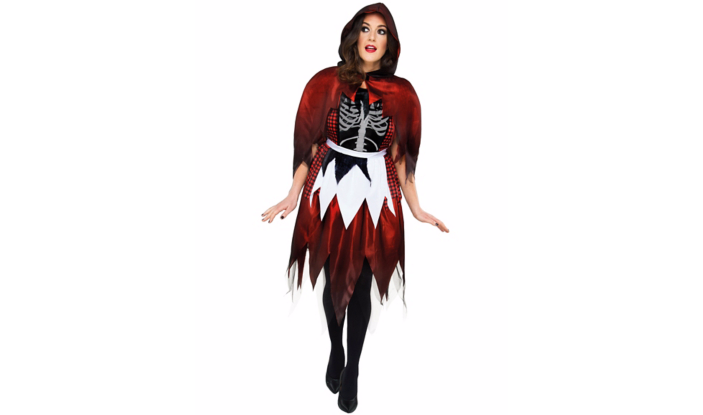 A couple of my friends have gone as Little dead riding hood for Halloween. I love this cheap outfit from Asda and think that paired with some red or white contacts and a bit of fake blood the outfit is complete. Another idea I'm toying with this year is a dead bride. 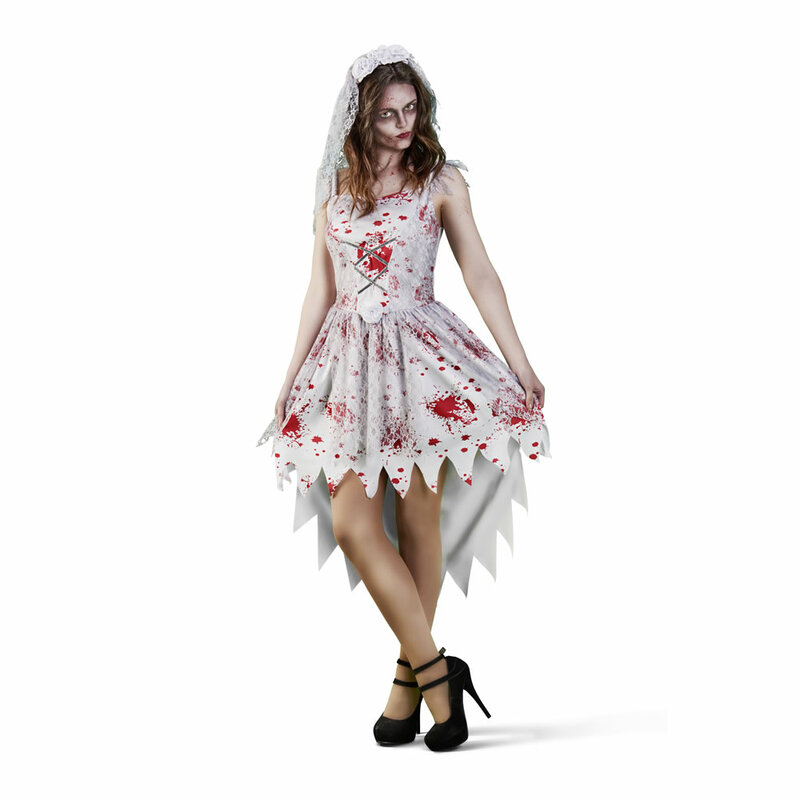 You can buy a cheap costume complete with the veil from Wilko's all you need to do is add blood and some contacts! I've previously been as a "killer cat" on Halloween. 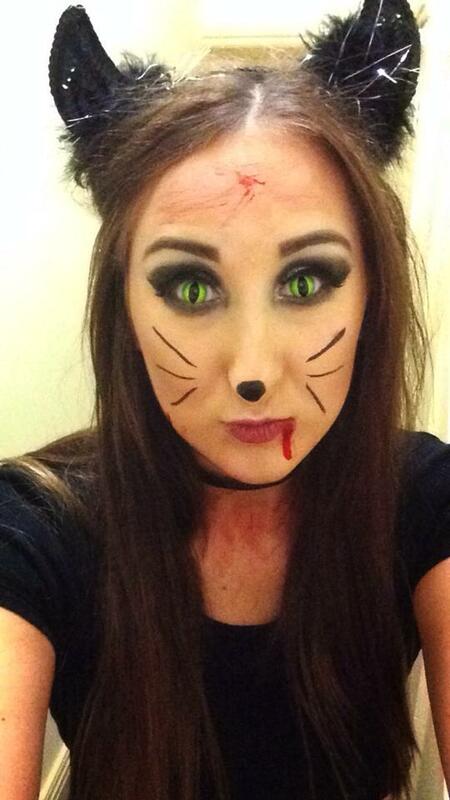 I basically had the cat accessories already and wore all black and wanted to make myself look scary so put contacts in and blood on my face. So simple but it actually looked quite effective. I see so many people every year go as Zombie Convicts for Halloween. You only need a stripe dress (blue and white or black and white) and some fake blood and bob's your uncle you're sorted. I like this outfit here as it comes with the hat too. Are you going out for Halloween this year? What are you guys going as? Let me know in the comments below.